How sweet would this be for Roo to wear for Jasper's first birthday next week? 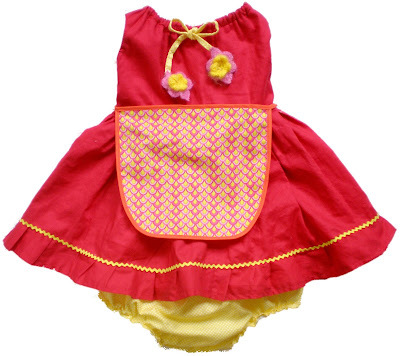 It has matching yellow ruffled bloomers, people! Try your luck at Grosgrain. Yay! I'm the first. Too cute, so bright, so cheerful and I love the bloomers. Great for a party or picnic or anyday that needs a little extra sunshine. Delightful. I know... she is just an incredible seamstress, is she not?